Westminster Presbyterian Church is being called to play a pivotal role during this challenging post-election season. 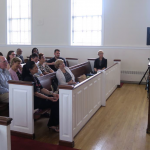 For over 35 years, instead of fleeing the city and its many challenges as many mainline churches did starting in the 60’s, God chose to bless our congregation with the faith, courage, hope and 75-plus partners including Nassau needed to continue seeking shalom of the city through a ministry of reconciliation (2 Corinthians 5:18). 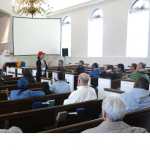 Until recently, most of our resources and programs have been focused on racial reconciliation, becoming a multiracial and multicultural worshiping congregation, improving the low quality of public schools in Trenton, working to dismantle mass incarceration, ministering to reentry / returning citizens and their families, reaching out to young adults who feel disenfranchised by the traditional church through Bethany House of Hospitality, yet still called to serve the city of Trenton, assisting immigrants to acquire English proficiency to support the education of their children and to secure gainful employment, and becoming a welcoming congregation for the LBGTQ-plus community. Now we are also responding to the call of keeping our own Democratic and Republican members united in the midst of our differences in order to talk and walk the Gospel of Jesus Christ for such a time as this! 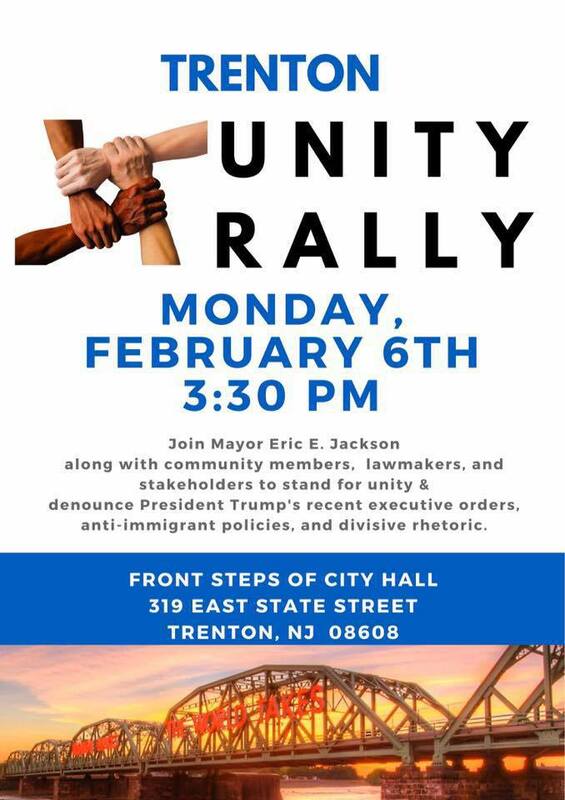 Most recently, as the Vice-Chair of United Mercer Interfaith Organization (UMIO) and a founding member of Trenton Mayor Eric E. Jackson’s Latino Advisory Council, I was asked to help organize a Trenton Unity Rally in response to all the recent executive orders that are negatively impacting Muslims, immigrants, refugees, and may eventually affect the LBGTQ-plus community. I was deeply encouraged when every colleague and musician that I invited didn’t hesitate to say “¡Si!” / “Yes!” to participating. 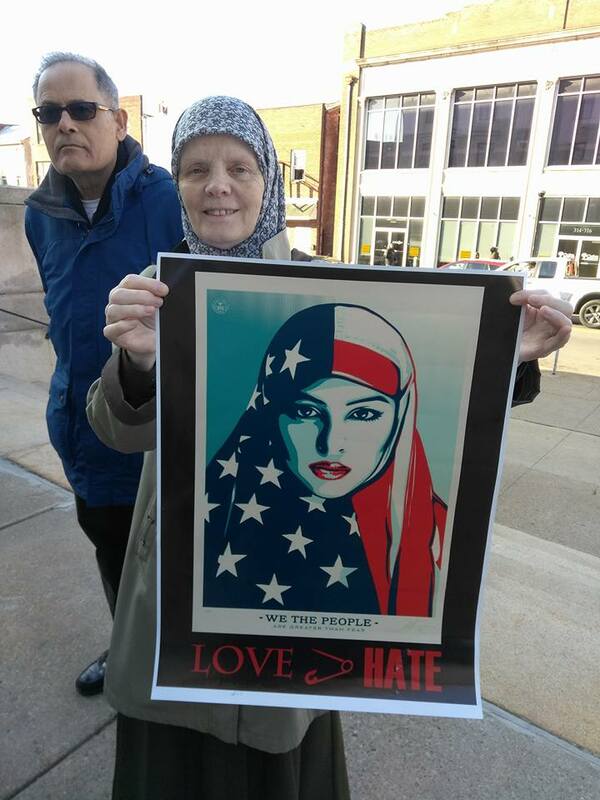 Over 250 attended even though the Unity Rally was organized in less than a week! 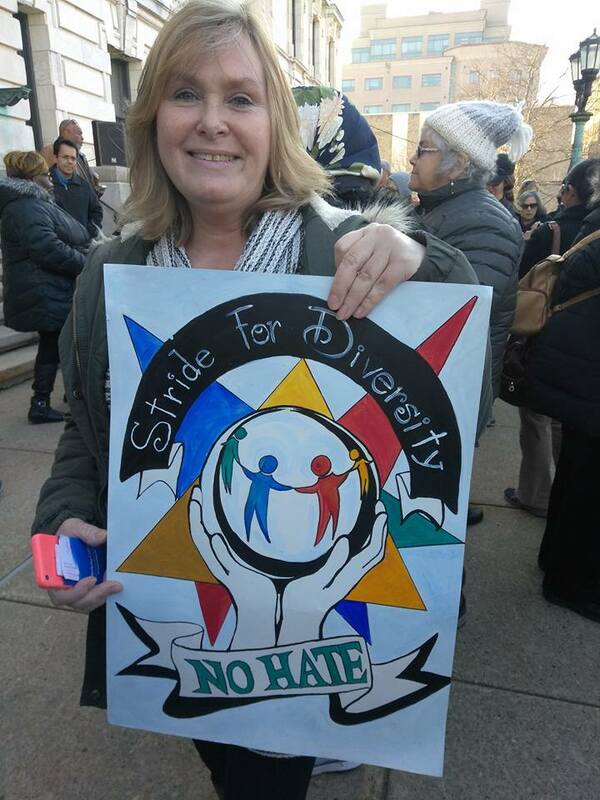 Together we represented Muslims, rabbis and grandsons of Holocaust survivors, Sikhs, the LGBTQ-plus community, and Christians of various denominations. 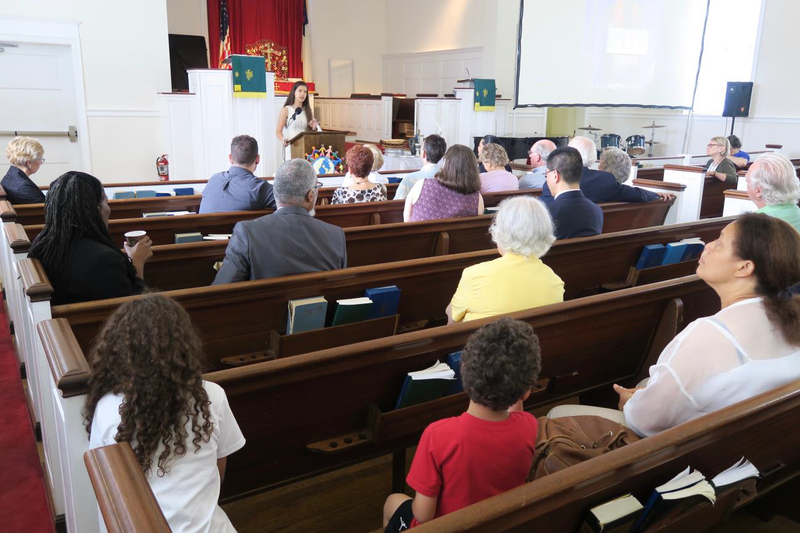 I truly must confess that I was very prideful of all the Presbyterian members representing Nassau, Ewing, Lawrenceville, Flemington, Dutch Neck, Slackwood, and Westminster congregations. I believe that this Unity Rally is only the beginning of many ways that the PCUSA can respond to God’s call to a prophetic and compassionate. Ministry. As a board member of the Latin American Legal Defense and Education Fund (LALDEF), Nassau’s 10-year plus partner, I invited our new Executive Director Adriana Abizadeh to prepare a statement that included immigrants’ stories. 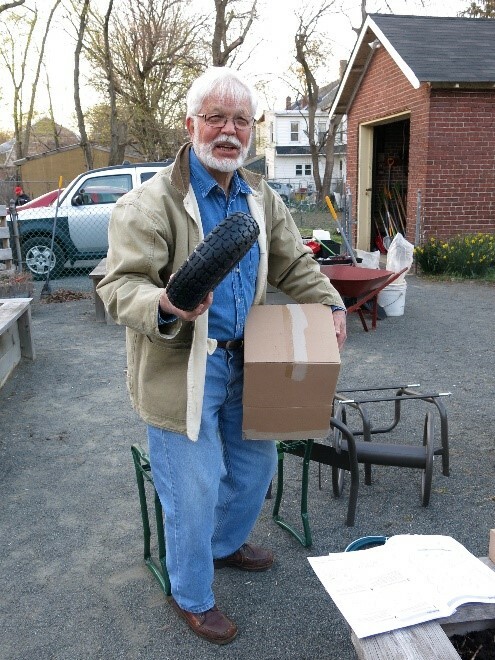 Ruling Elder Bill Wakefield is a founding member of the board, and I have been serving on the board for over 3 years. 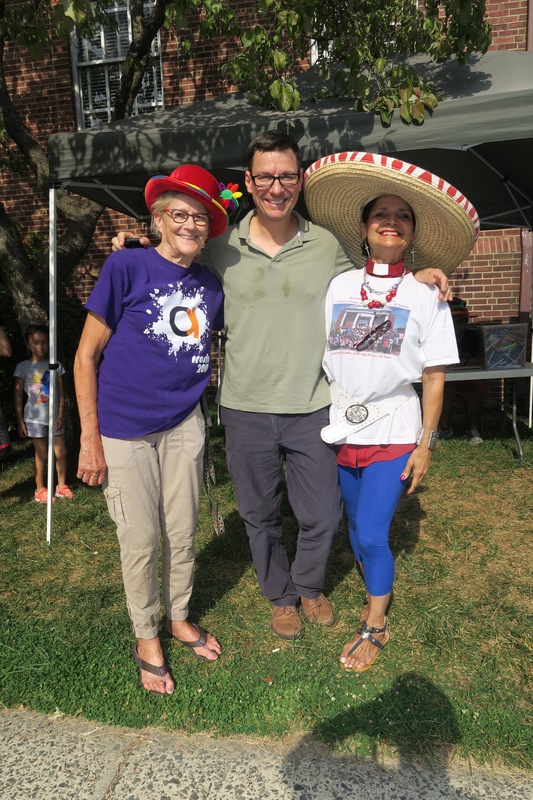 LALDEF adopted its organizational mission to defend the rights of the Latin American community, facilitate its access to health care and education, and advance cross-cultural understanding within the Mercer County region. LALDEF provides legal services, youth mentoring, and adult education among other services to the immigrant community of Mercer County. Nassau provided LALDEF with office space until we moved our offices to the Chambersburg neighborhood of Trenton over two years ago. 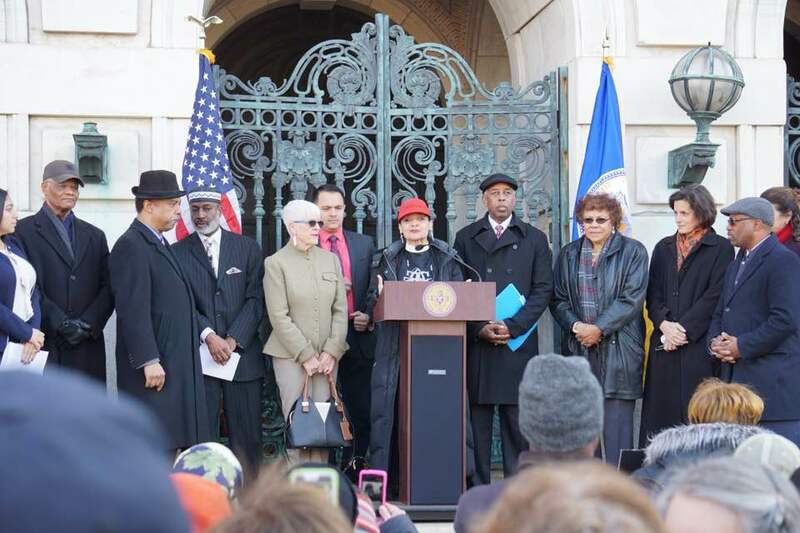 Please read below Adriana’s statement which she shared at the Trenton Unity Rally. I want to talk to you for a minute about the national response to Executive Orders that have come from our current administration. 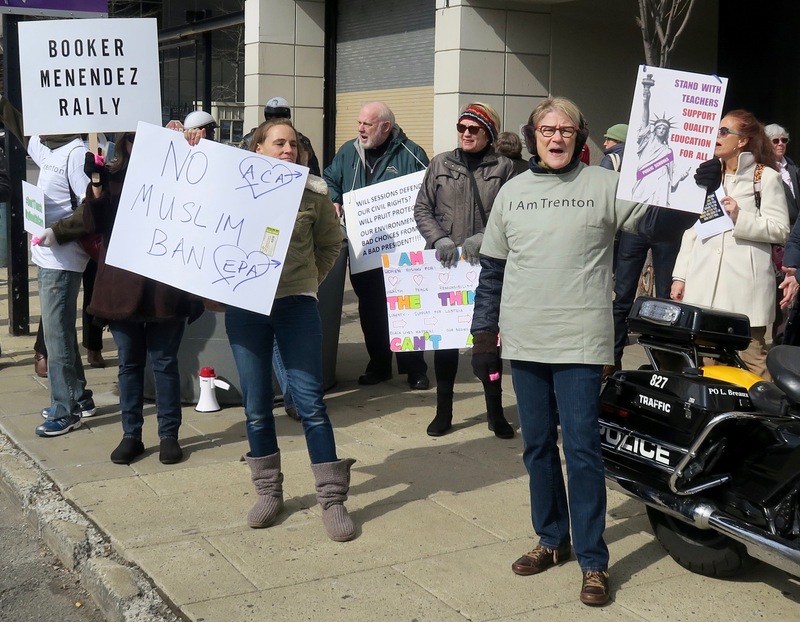 Immediately following the issuance of the order c reating the Muslim Ban, attorneys and other concerned individuals flocked to the airports to provide legal support to travelers affected by the ban. They advocated jointly and with concerted efforts were able to get a stay for this ban and ultimately they were able to suspend the travel ban. This overwhelming show of support was well covered by the media and it is a testament to our system of checks and balances. United we must continue to fight battles at the national level, so that organizations like LALDEF can work with families at the local level. Families are coming into our office and calling in everyday with fears and in need of counsel. Many families are full of anxiety and have concerns that their families will be torn apart. We must show them that there are people who care and that are willing to fight their battles with them. At LALDEF we are assisting families in the creation of safety plans and temporary custody agreements. We are referring clients to counseling that have found the political climate of the last few months too much to bear. Children are coming home telling their parents about their encounters with bullying and we are here to advocate on their behalf. What this nation needs now is education about these issues. 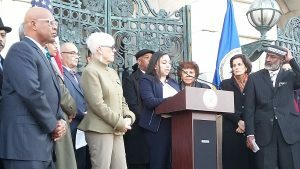 This nation needs education on the underlying societal framework to realize the effects that the removal of immigrants would have, not only emotionally and physically to these individuals, but to this nation’s economy. Our media has played a large role in sharing stories of immigrants affected by raids and torn apart by archaic and inadequate immigration policies. The Super Bowl displayed the power of media and it showcased that this great nation will not allow for large-scale hatred and its associated rhetoric. There were at least 4 commercials that I know of that aired during the game that provided pro-immigrant content. This is a testament to the power of media in our country as the Super Bowl was watched by an average of 111 million viewers. With their advertisements, these companies took public stances on a controversial issue in our nation’s history. Immigrants are welcome here. Together we can spread a message of love and we can combat fear. 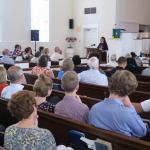 Interested in visiting Westminster’s 11AM worship and meeting our partners? Contact Patti Daley, pattidaley@aol.com. 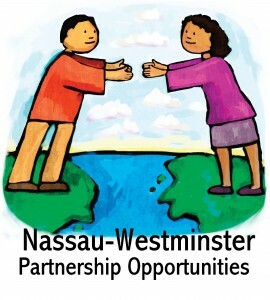 In the course of pursuing their mission partnership now in its third year, Nassau Church and Westminster Church have collaborated in two important and related missions in 2016: one ongoing and evolving, and one new. Having offered an adult ESL program several years under the leadership of Joe Landolfi, a Bethany House of Hospitality resident, and assisted by Amanda Arena, Joe passed the baton to Amanda before he left to study in Spain. Four Nassau members volunteer their time as ESL enrichment tutors on Wednesday evenings: Tom Coogan, Jay Dunn, Chris Werner, and myself. 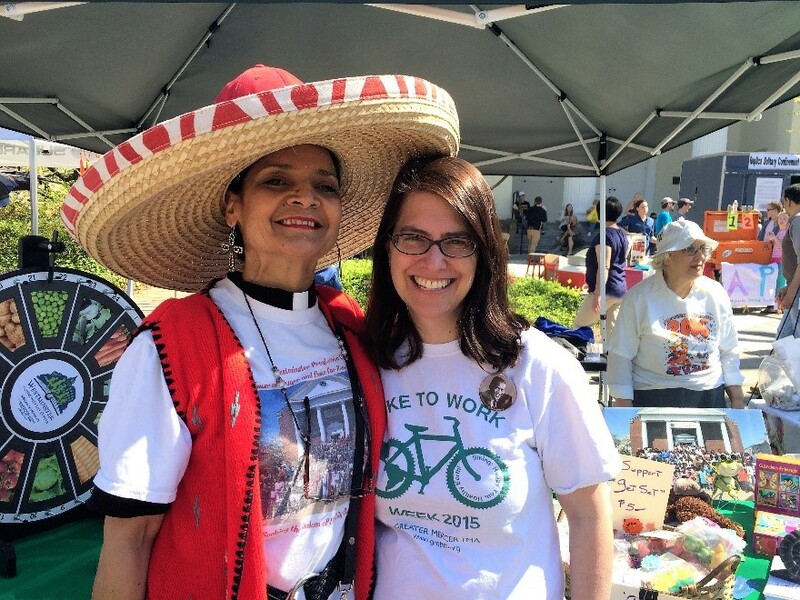 Reverend Karen sees Westminster’s ESL program as furthering what she terms “the shalom of the city of Trenton.” In an effort to expand this concept, she promoted a four week Spanish class this past summer for interested members of Nassau, Westminster, and Trenton residents. 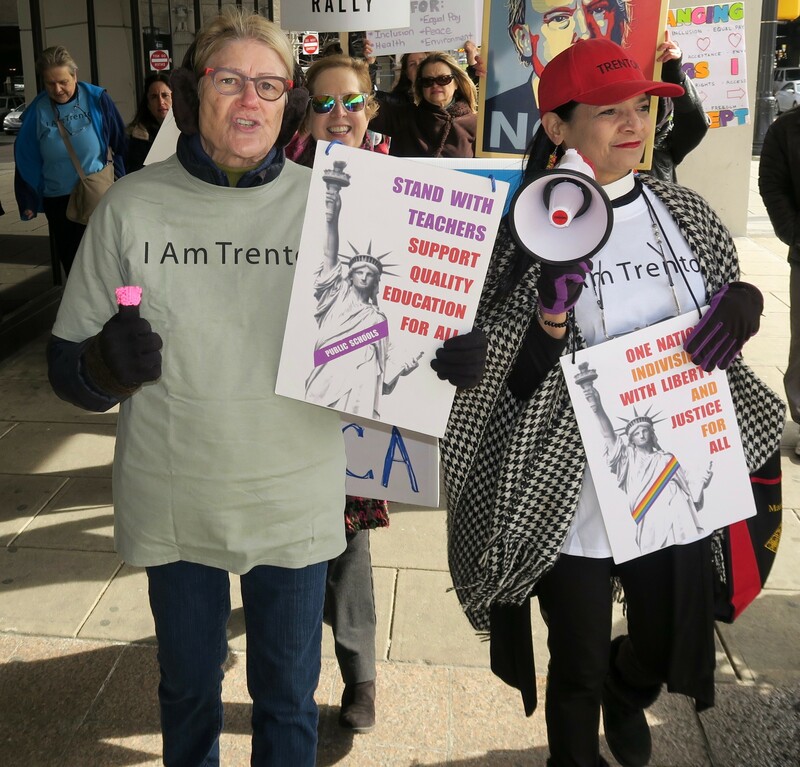 Señora Martha Redondo of Mercer County Community College taught the class, which proved to be so popular that she offered a ten week, follow up which is running from September to December. 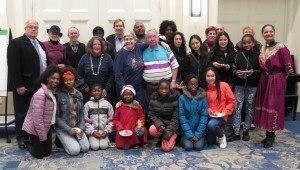 Over forty-five students from many walks of life participated in one of the courses, including Nassau’s Pam and Bill Wakefield, Lolly O’Brien, Mary Beth Charters, Patti Daley and her grandson Micah Daley-Harris. 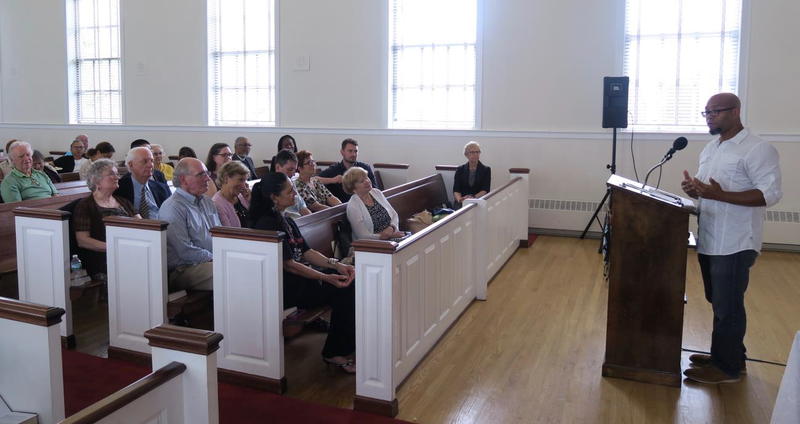 Further students of note were the Reverend Darrell Armstrong of Shiloh Baptist Church, Trenton’s mayor Eric Jackson, Princeton’s mayor Liz Lempert, Trenton’s council women Marge Caldwell-Wilson and Verlina Reynolds-Jackson, and Trenton Police Director Ernie Parrey. 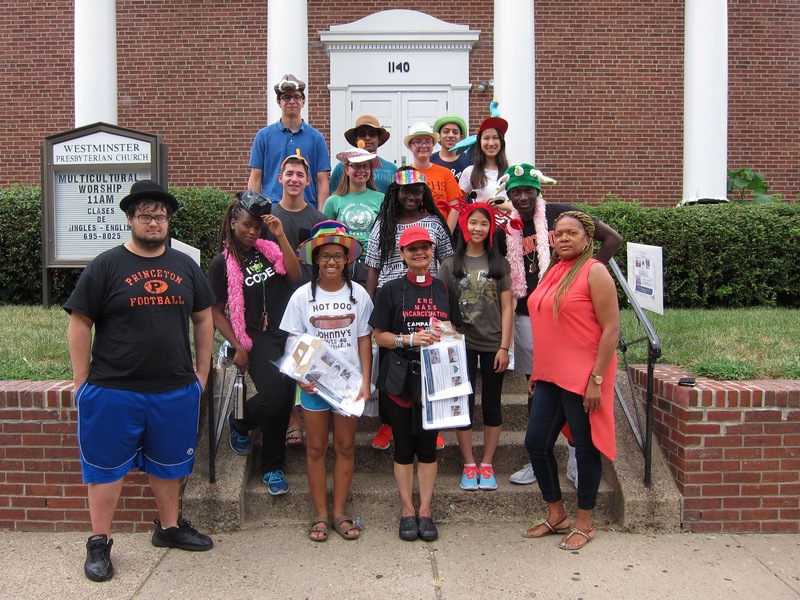 Princeton University Pace Center’s Community Action Week (CAW) allows first year students to work with local organizations in small groups of ten to fifteen students guided by trained group leaders. 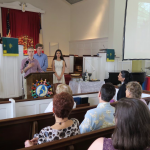 The incoming students of the Princeton University Class of 2020 were invited to live at Westminster as they took part in serving our community. Westminster has been hosting CAW for 13 years. In the past, 100 to 150 PU students participated. This year Pace Center maximized student participation by reaching over 523 students. 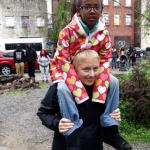 Their primary focus is to increase the number of students who are aware of the communities that surround them. 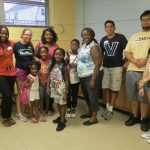 The CAW Education Trenton: Nurturing Bright Future group worked in conjunction with the Westminster Church and Comm unity Life Center to help facilitate two events: the annual Back to School Supplies Giveaways and Carnival. 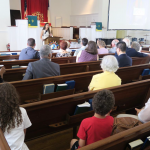 These events invite over 1,500 families via door to door fliers, fliers at local schools, and personal calls to participate and take advantage of the resources offered by the church and community center. 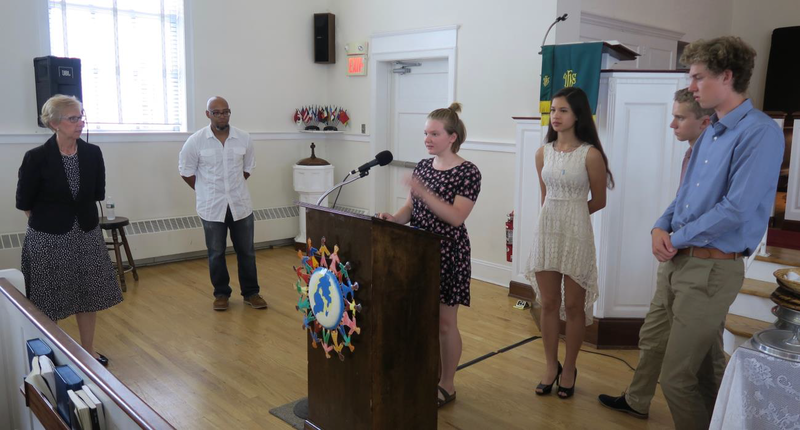 Westminster leaders dedicated the first day of CAW to orienting the students. 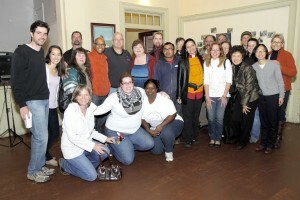 This included visiting the Bethany Garden, the War Memorial, and the South River Walk Park. David Byers helped design this national award winning park which sits above the Route 29 tunnel, and incorporates the history of Trenton via multiple double arches and granite markers. 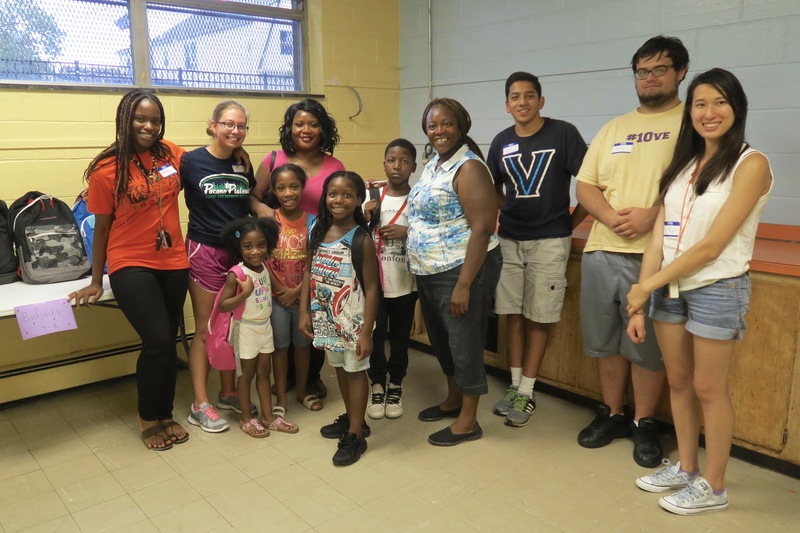 On the second day, Princeton students and three CA leaders helped organize the annual free backpack and school supplies giveaway for Get SET students, and church children. 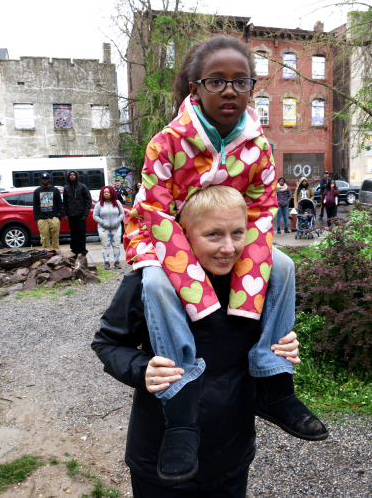 Mary Beth Charters brought a car filled with backpacks and school supplies from Nassau. We are all very grateful to Nassau, Wright Memorial, Westminster Presbyterian churches, and individuals who donated beautiful backpacks filled with lots of school supplies! 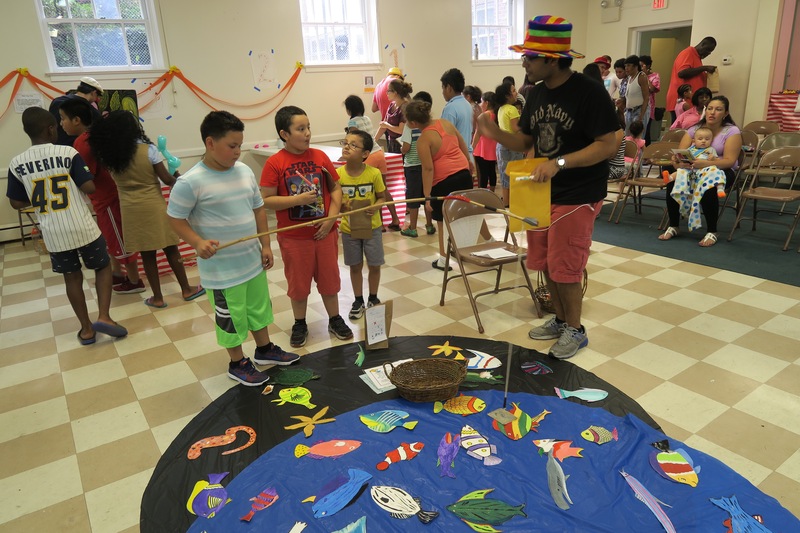 This event also included playing board games and doing educational activities, thereby, allowing incoming students to gain a more personal interaction with the children. The second event was the carnival. 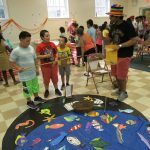 This event included traditional carnival games, free prizes, face painting, dancing, and a moon bouncer. 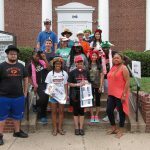 CAW students wore funky hats and led the entire event. The sounds of laughter and eyes filled with excitement were clearly evident. At both events children registered for the Get SET After School Program, and adults registered for The English as a Second Language School at Westminster. “An education at Princeton University emphasizes leadership, and I have realized that being a leader does not mean having a glorious title or changing the world, but rather a true leader is one who is able to embody humility and works with his or her own community before aiming to change the whole world. 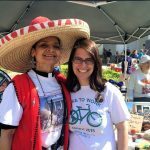 T wo such leaders are Pastor Karen Hernández-Granzen and Linda Konrad Byers who work WITH the community instead of FOR the community. Their work is a constant reminder that for long term improvement it is vital to be a member of the community and to embrace the positivity present within the community rather than constantly highlighting only the negativity,” said Denay Richards. 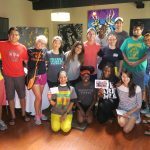 Many students are leaving this experience inspired to come back and continue to work with the Get SET program and the community throughout the course of their education at Princeton. This opportunity will be a constant reminder of effective leadership as students embark on their academic journey. 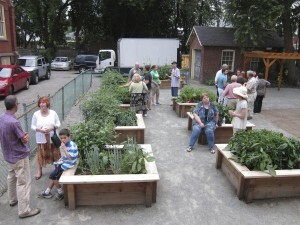 Bethany Community Garden was designed by David Byers of Westminster Presbyterian Church. 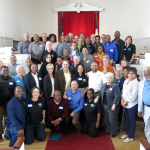 It was initially funded and supported by New Brunswick Presbytery’s Urban Mission Cabinet member churches, Isles of Trenton, I Am Trenton, The Crisis Ministry of Mercer County, the Jewish Community Center of Princeton, and the Presbyterian Church of Lawrenceville. 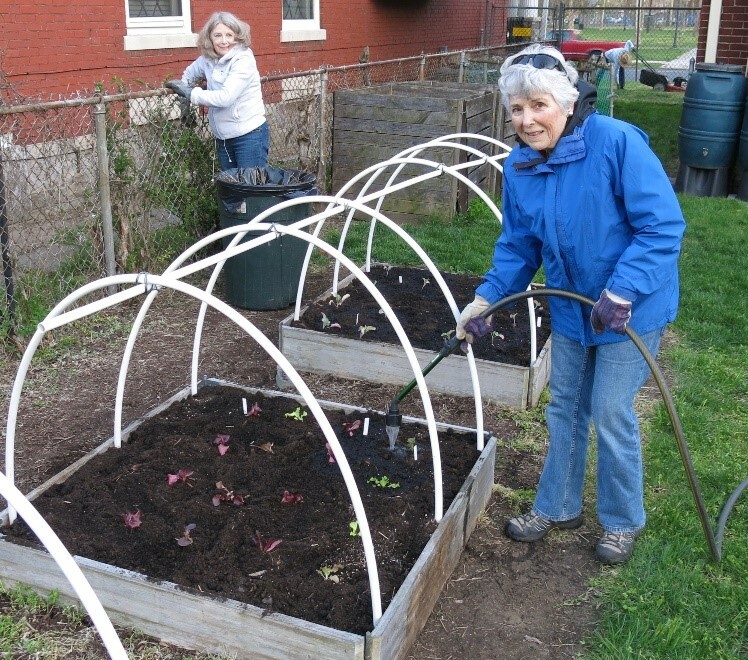 In 2015, Westminster Presbyterian Church received a Faithful Families grant to expand the Bethany Community Garden. 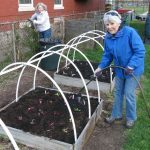 The produce harvested is shared with clients of The Crisis Ministries of Mercer County, and the residents and neighbors of Bethany House of Hospitality. 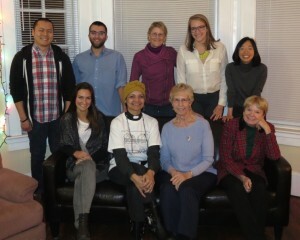 Muchisimas gracias once again to The Crisis Ministry of Mercer County for providing light refreshments! Want more details? Email Rev. 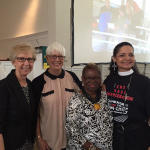 Karen Hernandez-Granzen at Karisuhg@wpctrenton.org. 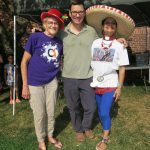 In preparation for the 5th Annual Bethany Garden party, members of Nassau and Westminster along with Bethany House of Hospitality residents dedicated their time and energy to begin cultivating the Bethany Garden, and preparing for its expansion. In 2015, Westminster received a $10,000 from the Trenton Health Team for yoga classes and to expand two gardens. The Bethany Garden expansion will more than double the harvest for residents and The Crisis Ministry of Mercer County’s Food Pantry clients. After working hard, we broke bread, prayed and fellowshipped together. !Muchisimas Gracias to Nassau! 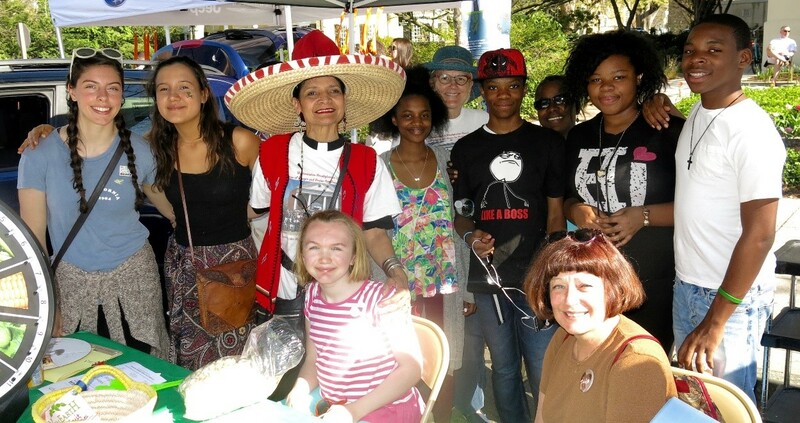 Once again Westminster Presbyterian Church and Westminster Community Life Center had the best location at the 2016 Communiversity; right in front of Palmer Square! This year members of Nassau helped us host our information table, and also sold beautiful soap to raise money for our Get SET After School Program. 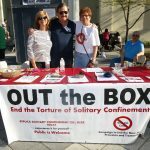 Westminster also helped Nassau coordinate with the Campaign to End the New Jim Crow Trenton/Princeton Chapter an interactive experience within a solitary confinement cell replica. 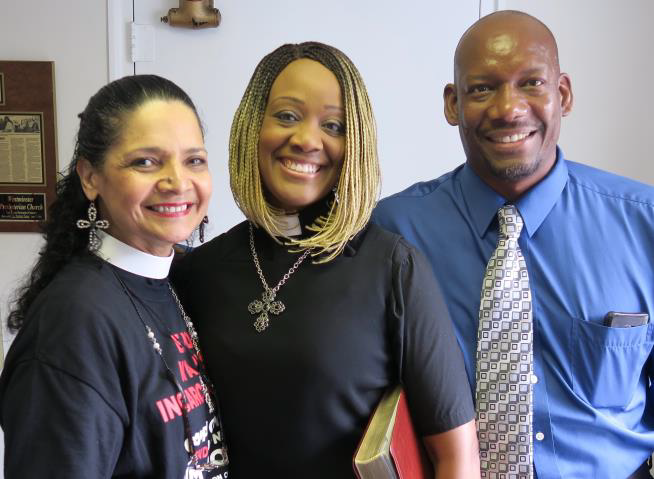 Westminster’s pastor and members enjoyed taking photos with our partners: i.e. 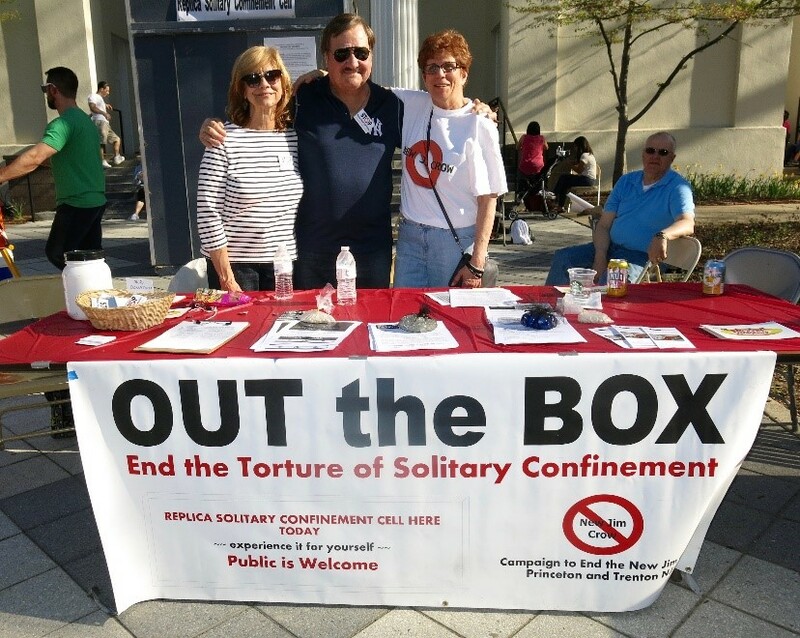 Nassau members, Princeton Mayor Liz Lempert, and Mercer County Freeholder Samuel Frisby, and the Campaign to End the New Jim Crow Trenton/Princeton Chapter members. 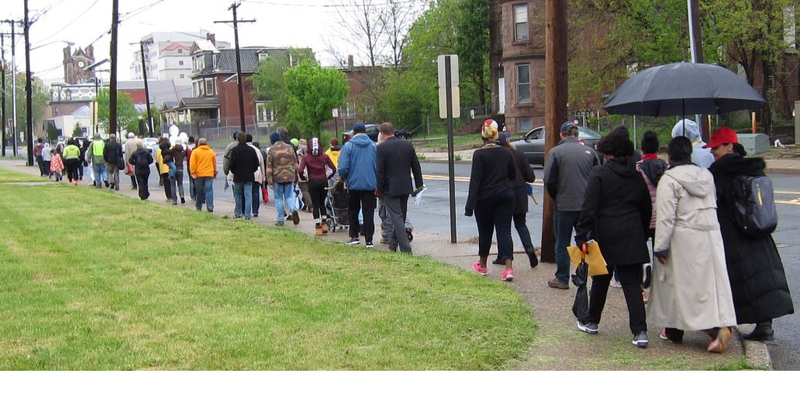 Despite the rain, Nassau and Westminster leaders and members helped lead over 100 people of all faith traditions to walk in remembrance of the lives of men, women, and youth killed by violence in the City of Trenton during the past year. 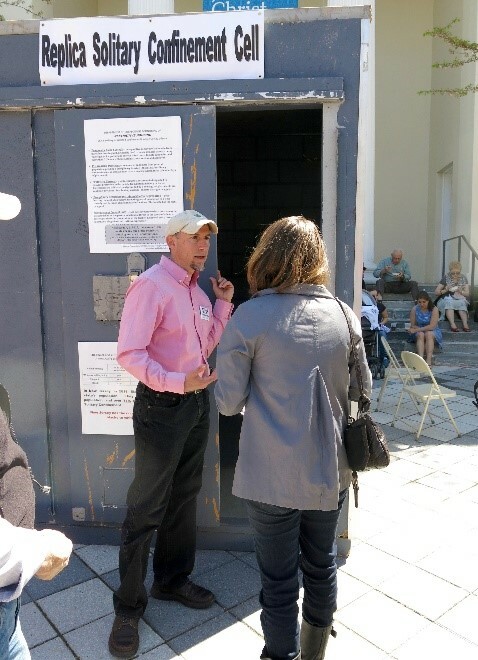 Pictures and short bios of the victims of violence, and resources to support the grieving families were distributed. 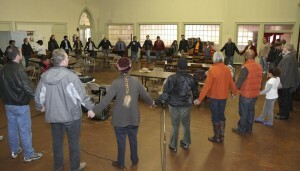 Prayers in song and word were shared at the sites of violence. 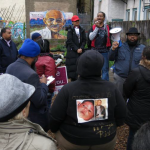 After simultaneously departing from Westminster Presbyterian Church and the Islamic Center of Ewing all the participants gathered at the Ghandi Garden. 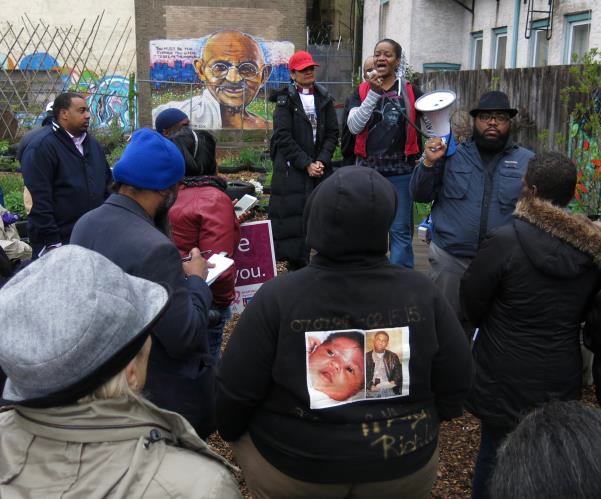 Kim Ford, who lost her son to violence in March 2015, and Councilman Duncan Harrison Jr. who lost his mother and a best friend to violence, challenged everyone to keep working to end the violence in Trenton. Men of Hope prayed for all the youth present. 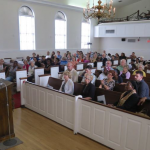 Over 50 pastors, leaders, and members representing Shiloh Baptist Church, the Presbyterian Church of Lawrenceville, Nassau Presbyterian Church, and Westminster Presbyterian Church participated in an Intergroup Dialogue Retreat on Saturday, May 7, 2016 at Westminster called, A Conversation Among Four Churches. 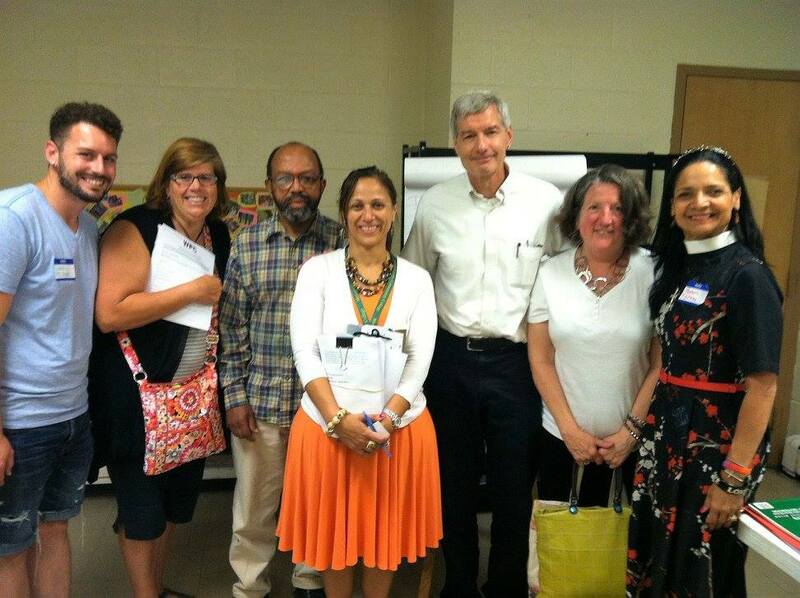 The IGD Retreat was led by the New Jersey Intergroup Dialogue Coalition founded by Rev. Dr. D A Graham, and facilitated by members of Nassau and Westminster that he had trained over three months in 2015. 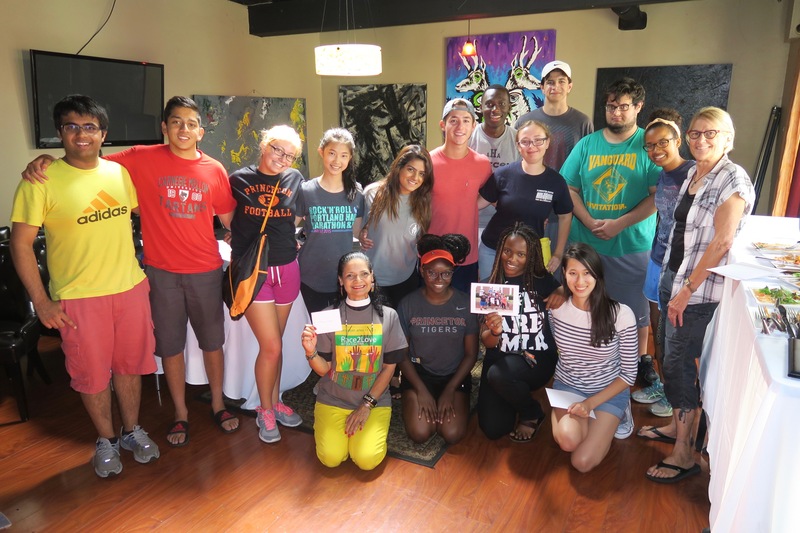 The retreat was an 8-hour workshop that explored the intersection of identities including race, ethnicity, gender, religion, social class, and sexual orientation. 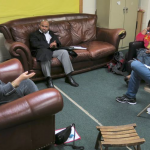 The workshop allowed participants to learn about various social identities as well as build knowledge to engage in dialogue with others regarding identity. 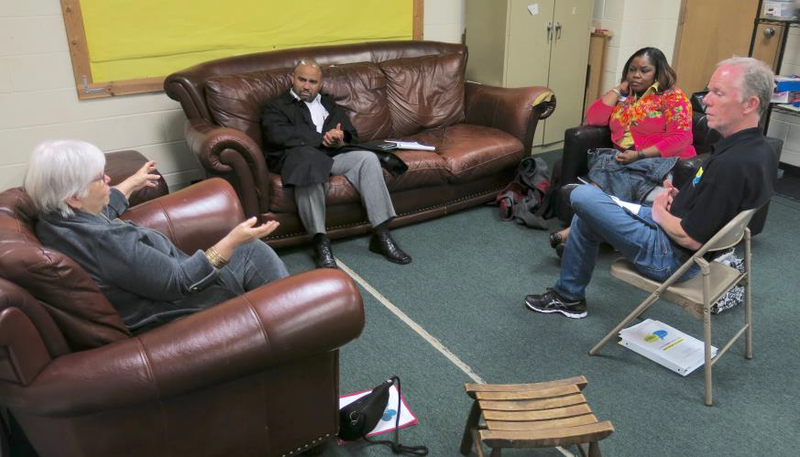 The feedback was so positive that we are looking forward to planning another Intergroup Dialogue Retreat in the near future at Nassau. 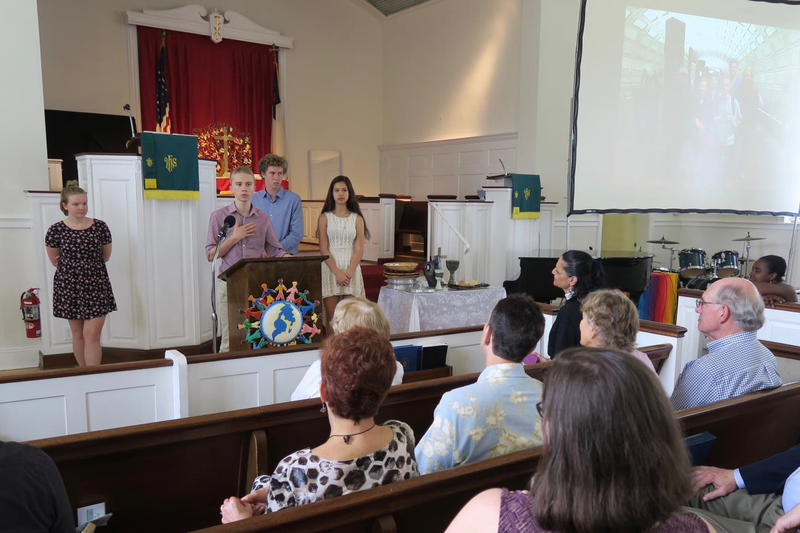 Westminster enjoyed welcoming and worshipping with 25 members from Nassau on Sunday, June 5. 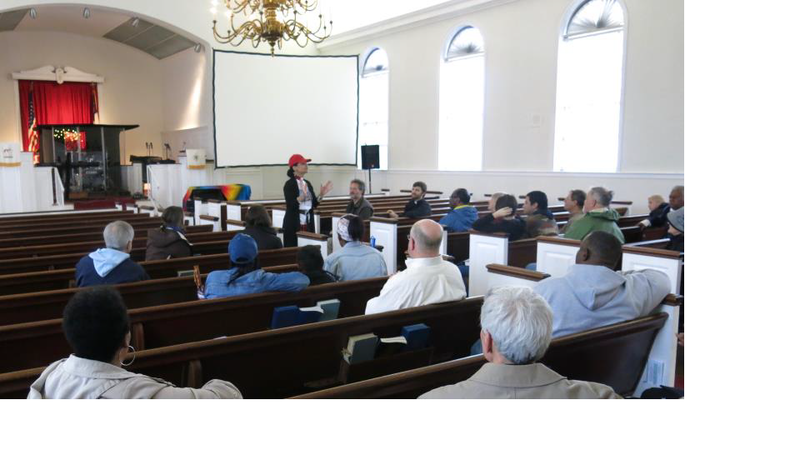 In order to expose Nassau members to some of our multiple Trenton partners, we acknowledged the presence of representatives from A Better Way, Inc., the Campaign to End the New Jim Crow Trenton/Princeton Chapter, East Trenton Community Center, Yielded Vessels Fellowship Ministries (YVFM), and Men of Hope. 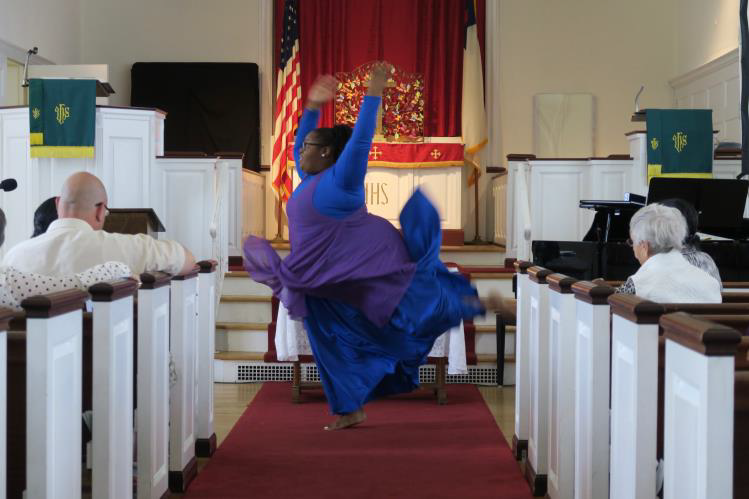 Nassau’s Minister of Christian Education, Joyce MacKichan Walker, the Rev. 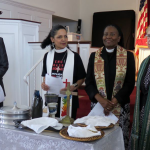 Nadira Keaton and Elder Thomas Keaton of YVFM, and Pastor Karen Hernandez-Granzen officiated the Lord’s Supper in English and Spanish. 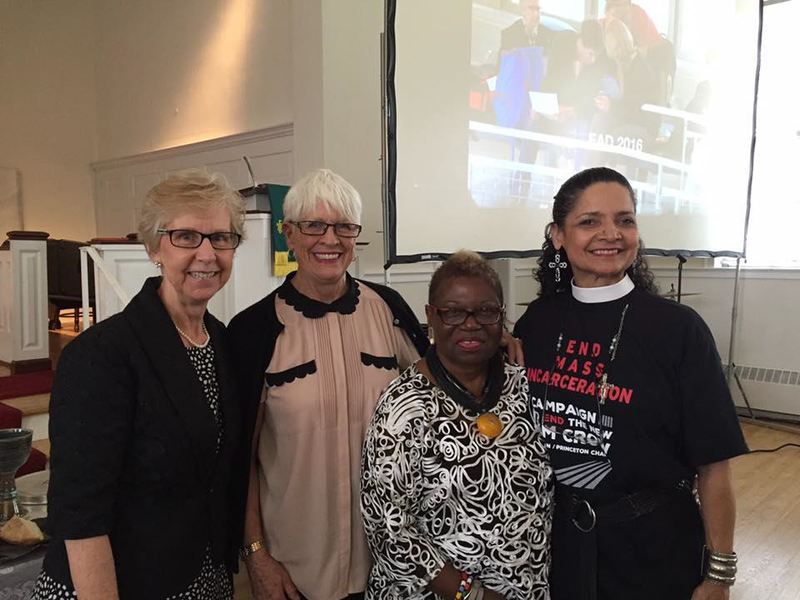 Trenton Council Woman Marge Caldwell-Wilson, a Scottish Presbyterian, also worshiped with us. Rev. 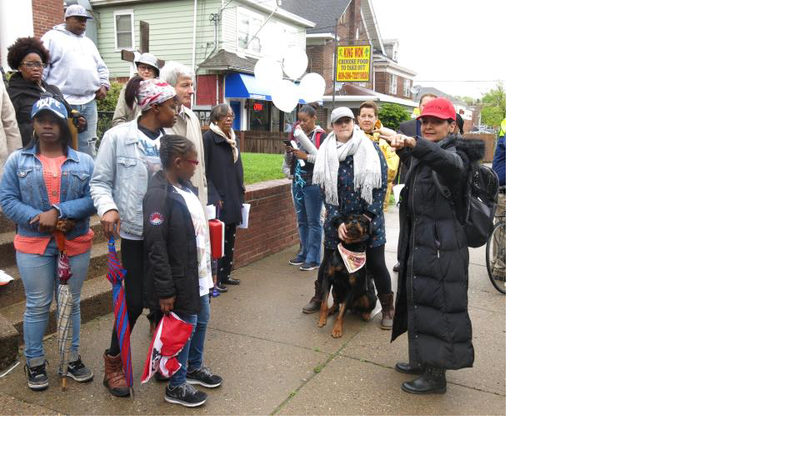 Patti Daley, led us in a prayer for Shalom in the City of Trenton. 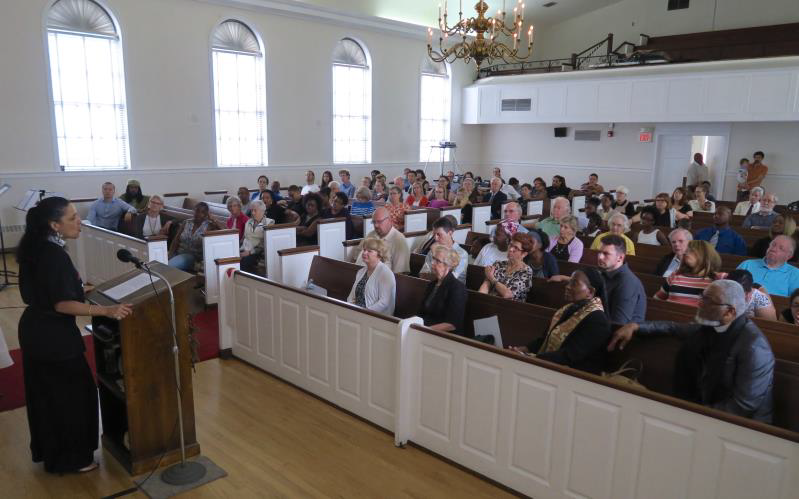 Following worship, Nassau’s youth and Westminster’s Elder Jacque Howard did an outstanding job sharing what they had learned at the annual 2016 Ecumenical Advocacy Days in Washington, D.C. 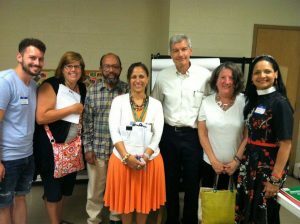 In 2011 when Pastor Dave Davis asked Pastor Karen Hernández-Granzen what Westminster was doing right now that Nassau could partner with, she immediately spoke about the Urban Mission Cabinet’s ministry initiative to create a Young Adult Intentional Community in Trenton, New Jersey in partnership with the Cousins Foundation through the leadership of Wayne Meisel. 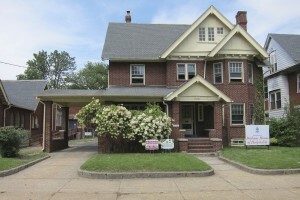 The ministry plan included transforming the parish house of the former Bethany Presbyterian Church into the Bethany House of Hospitality. Nassau’s first commitment to the joint initiative began by matching a $10,000 grant from the Cousins Foundation to renovate the house. 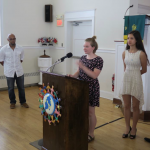 The New Brunswick Presbytery also approved the Urban Mission Cabinet’s request to provide a grant from the Urban Fund to complete renovation of the parish house, and also to hire a part time Chaplain/Coordinator. 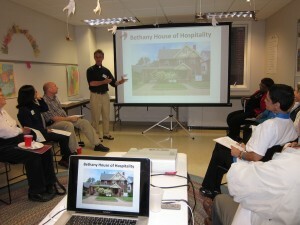 New Brunswick Presbytery dedicated the Bethany House of Hospitality on November 12, 2011. 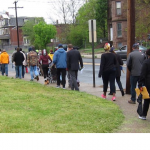 The address is 426 Hamilton Avenue, Trenton, NJ, at a bus stop, just three blocks from the Trenton train station, and across from Columbus Park. 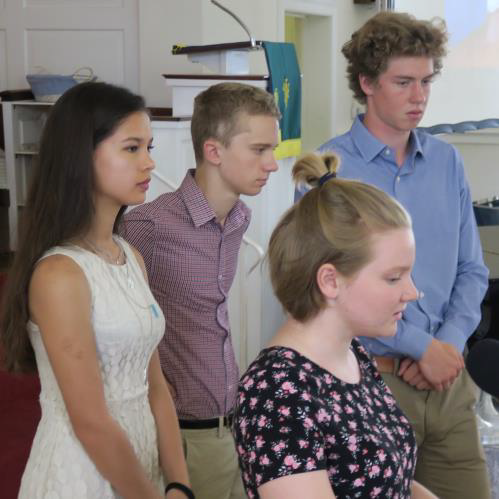 Bethany House has been designed to be an intentional young adult community that draws on the tradition of service and justice which we understand to be at the core of our faith commitments. 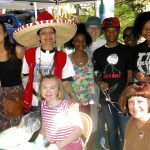 Residents are asked to live simply, participate in a communal way, and explore both new and ancient spiritual practices, all the while engaging in the neighborhood where they live and with the organizations that they serve. 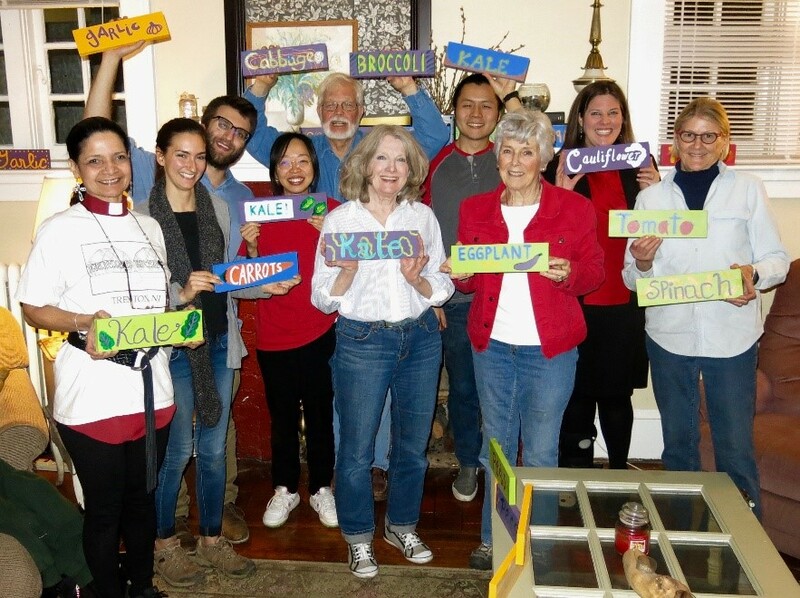 Residents participate in a year of spiritual exploration, vocational discernment, and education and conversation around current issues in social justice. 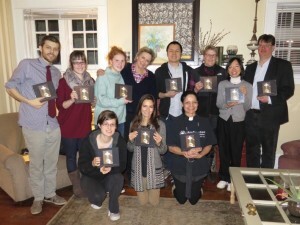 Residents participate in shared meals and Vespers on Thursday nights. 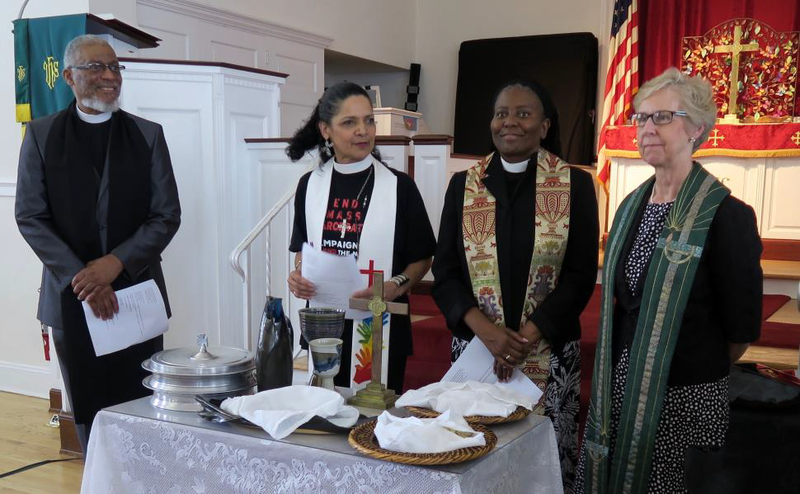 We have especially benefited from using the curriculum, “Vespers: A Year Long Journey of Faith and Service” (http://www.faithandservice.org/), reading The New Jim Crow, and introducing the residents to church and community leaders from many different walks of life. Nassau and Westminster partner to lead Vespers and host a meal for the Bethany House residents every second Thursday of the Month. Several times a year the residents are invited to local community events and benefit from free tickets to the local theater productions. 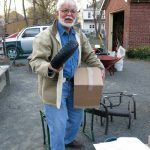 Wayne Meisel presented the idea to New Brunswick Presbytery’s Committee on Higher Education several years prior to its foundi ng. The Committee adopted the idea but it did not become a reality until 2011 due to the lack of an available house and a large pool of potential residents. With appropriate tactfulness and compassion, Rev. 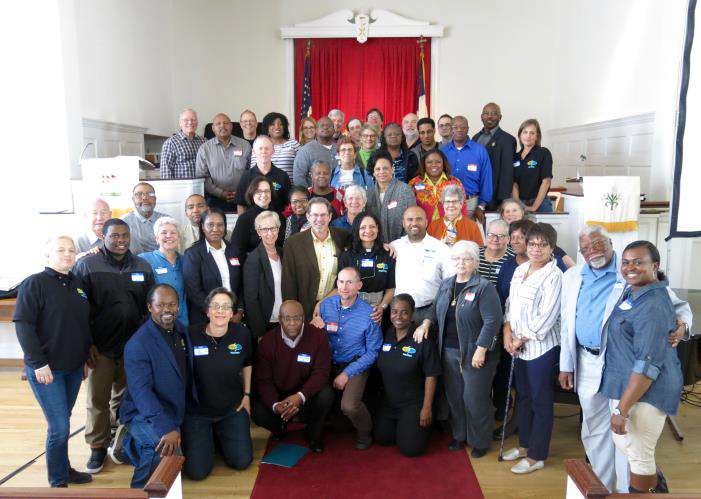 Wayne Meisel asked the Urban Mission Cabinet to endorse the renovation of the former Bethany Presbyterian Church’s parish house, after the untimely death of their pastor, Rev. Alice Bijjani. 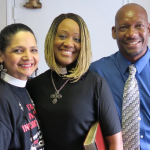 The Bonner Foundation and Princeton Theological Seminary have been committed to assisting with recruiting potential residents. 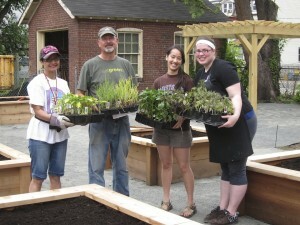 The Bethany House Community Garden was created in partnership with Urban Mission Cabinet, The Crisis Ministry, and suburban church volunteers. The produce is harvested by the residents and given to The Crisis Ministry, who distributes it to their food pantry clients. 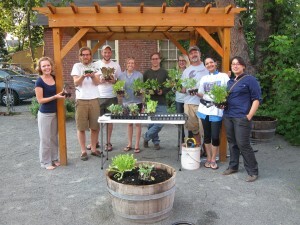 New Brunswick Presbytery dedicated the Bethany Garden July 18, 2012. Over 30 Westminster members, Get S.E.T. 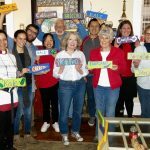 staff, children, parents, and volunteers attended the Nassau Arts “¡Oh, mi Belén!” (“My Bethlehem!”) Evening Choral Service, on Saturday, December 5. We all enjoyed the carols from Latin America and Spain sung in Spanish and English with passion and energy. We are deeply grateful that our Get S.E.T . 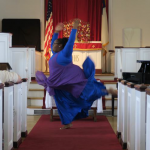 program was chosen to receive the free-will offering! These funds will be used towards abating asbestos found in Westminster’s boiler room, in order to avoid jeopardizing Get S.E.T. after-school program license. 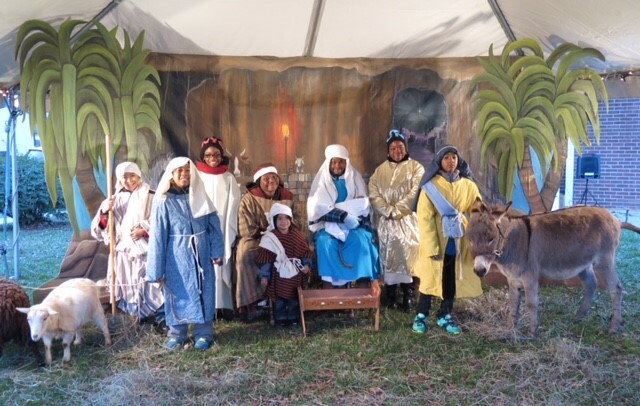 Westminster’s 10th Annual Live Nativity. Sunday, December 13, from 4:00PM–6:00PM, 1140 Greenwood Avenue, Trenton. Capture the Christmas spirit through an interactive rendition of Jesus’ birth story, and singing carols in English and Spanish. Hear live performances by Westminster Church’s Worship Team, Nassau Presbyterian Church’s Bell Choir, and the Sprout State University children. Enjoy hot chocolate, hot cider, and cookies. Bring your children to feed and pet the live animals! The first 150 children will receive a small gift and pre-register for a larger gift that will be distributed on Sunday, January 3, 2016 at 11:00 AM during the worship service. Westminster’s 10th Annual Three Kings Day Service: Sunday, January 3rd 11:00AM. Culminate the holiday season by honoring all the traditions celebrated within our diverse community: Hanukkah, Kwanzaa, Christmas and el Día de los Reyes through song and spoken word. Witness the joy of seeing all the children receive a gift of their own choice! Volunteer English tutor and make a difference! No second language skills required! You can tutor once a month or each weekly meeting-the time commitment is up to you! 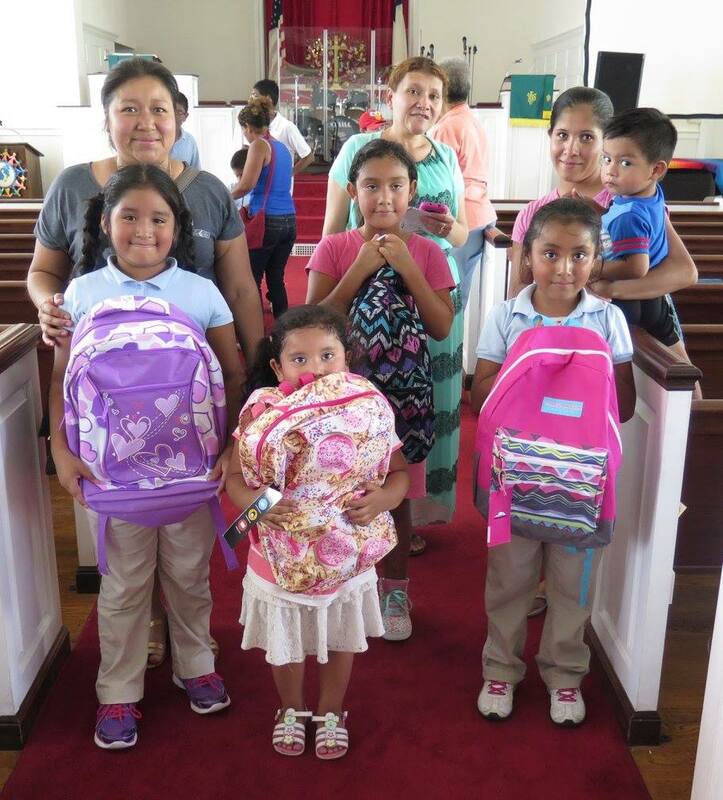 Westminster Presbyterian Church is deeply grateful for the very generous response to the Get SET tutoring program’s request for backpacks and school supplies.